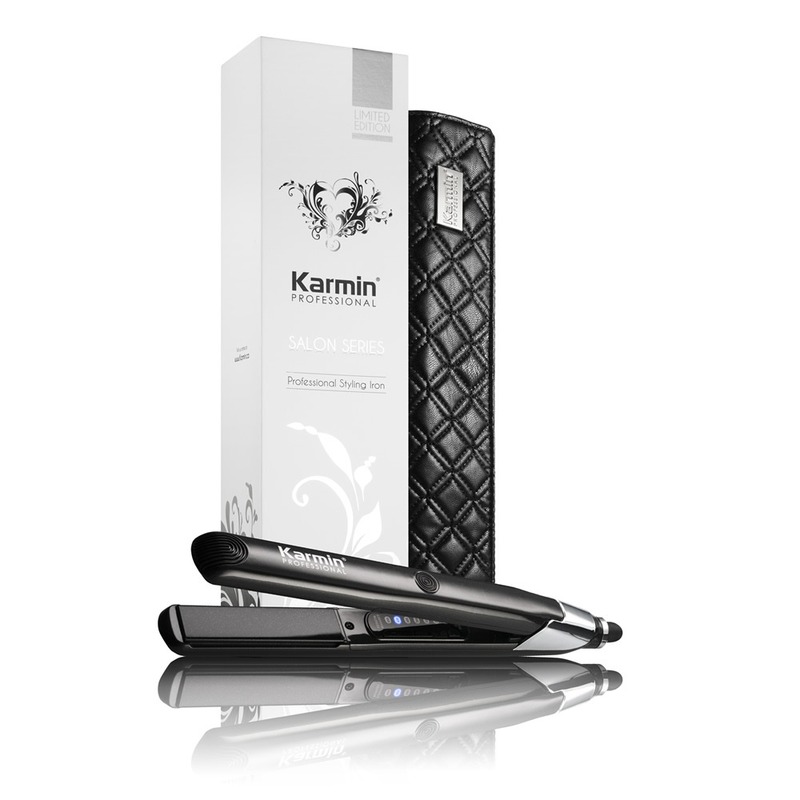 Designed to provide you with faster, healthier styling, the Karmin Salon Series Hair Straightener brings hair straightening to a whole new level. Featuring 100% pure ceramic plates and ionic technology, results are smooth, glossy strands which are certain to turn heads! In just one pass, the floating ceramic plates gently glide over the hair while the far infrared ceramic heater safely and effectively styles hair for long lasting results. 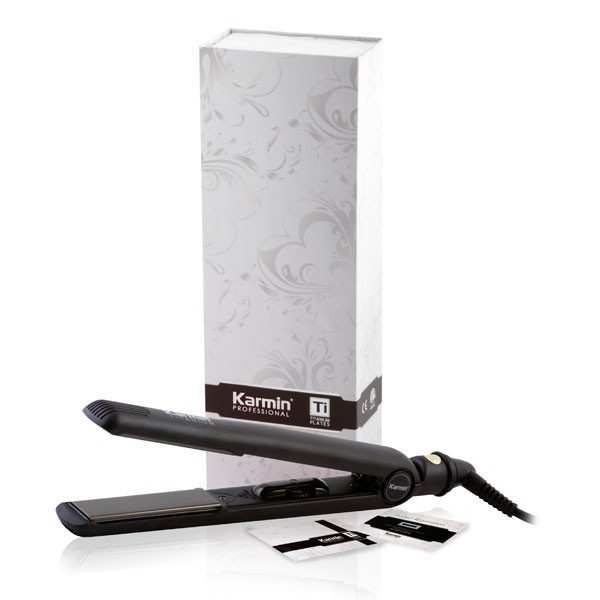 With adjustable heat settings, even the most stubborn of hair types are no match for this iron. Straight, wavy or curly styles are full of shine and frizz and flyaways are a thing of the past. 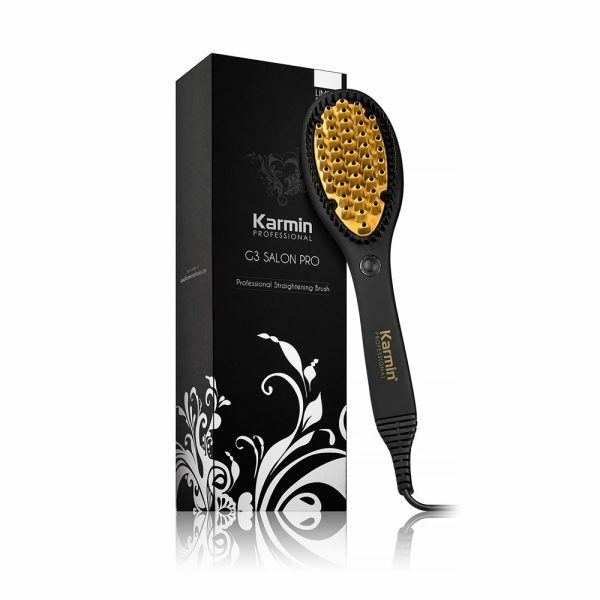 Ergonomic, slim design, 30 second heat up and heavy duty 3 meter swivel cord have this iron at the top of every Professional Stylists ‘Must Have’ list while the Worldwide voltage and 60 minute auto shut off features have home users favouring this iron. Professional grade Far- Infrared Ceramic heating element for flash quick heating. 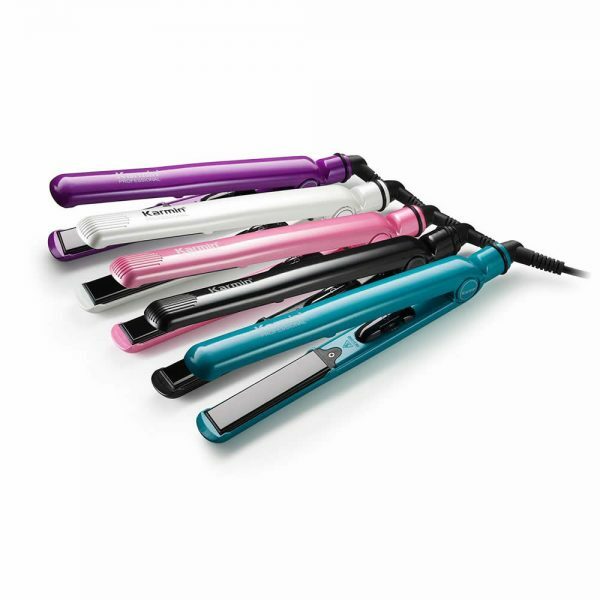 Worldwide Voltage 100-240V – Use your styler in any country. 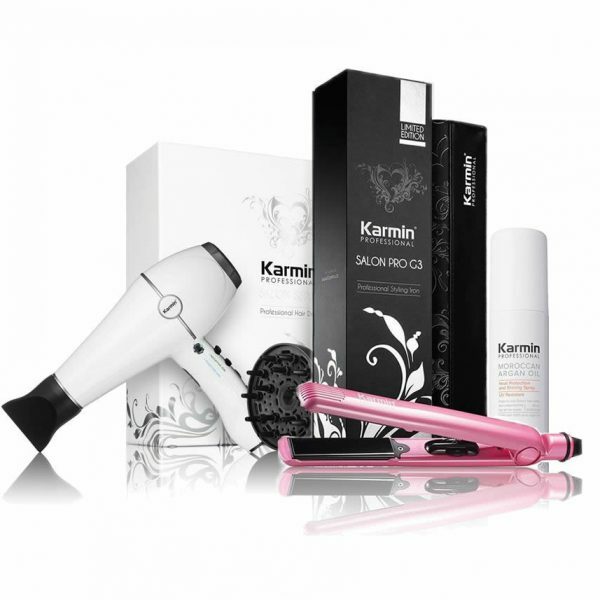 My sister has a straighteners collection, but her favorite one is this, the karmin salon series. She says that it is the fastest one in heating up (less that 30 sec. To reach the set temperature), the heat mat is a great help, it flattens her hair like no other, it has a super long power cord and that above all this, everything about it (the iron itself, the box it comes in, the carry case…) is beautiful. From the first day I used this Karmin hair straightener, I completely fell in love with it. 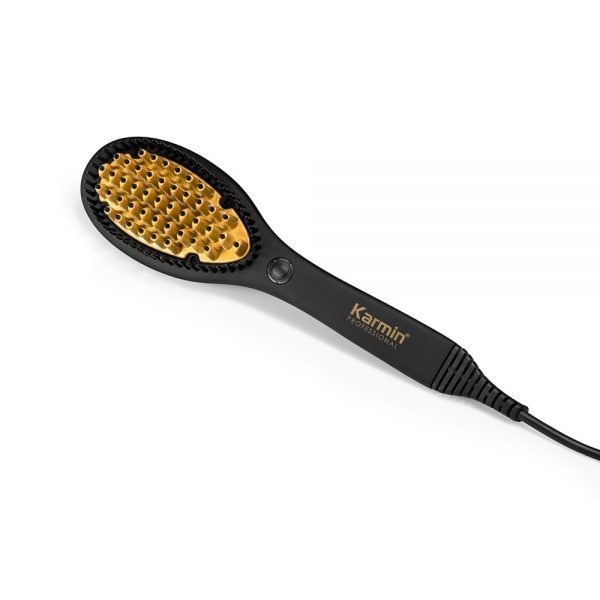 It’s so ergonomic and light, that you feel it like an extension of your arm instead of feeling like just using a hair tool, it’s so easy to handle, so easy to style your hair. 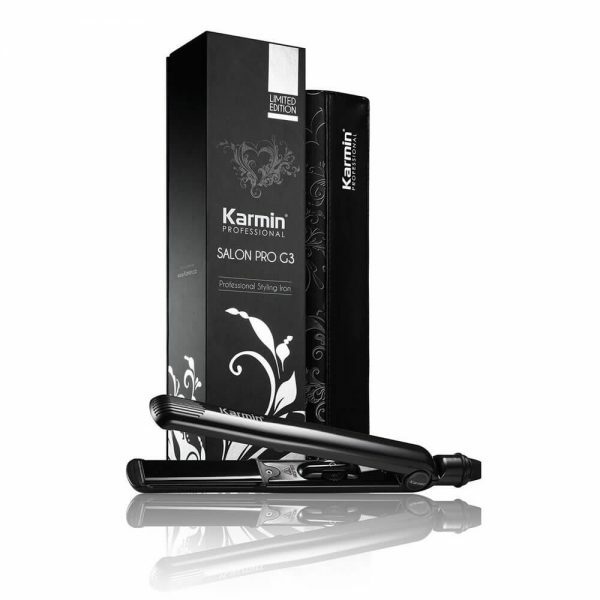 The great results you get come from this salon series flat iron great design. Living with my beautiful wife and my 3 perfect girls is not always an easy task, specially when it comes to their birthdays. Good thing they all help me buy the right thing for the others. It was my wife who told me that for her birthday she wanted a flat iron, and my eldest who told me about this salon series. When I bought this iron for my wife, all 4 of them fell in love with it, so now they all have one. Their favorite feature: They can travel with it, keeping it safe in its carry case, and they can use it in any country they go to. When I thought of buying a new hair straightener, I was considering a lot of different things, because the previous iron I had, even if it flattened my hair fast, it wasn’t really a good iron. When I read that this straightener had 100% pure ceramic FLOATING plates, digital display, swivel cord and the most beautiful travel case with heat mat, I didn’t need a second though. I bought it right away and there’s nothing about it to regret. It’s perfect! This flat iron is a real life saviour! My little girl and her friends had a school presentation and on the day of the show, the stylist we hired had an inconvenience and had to cancel, so we had to primp the girls ourselves. 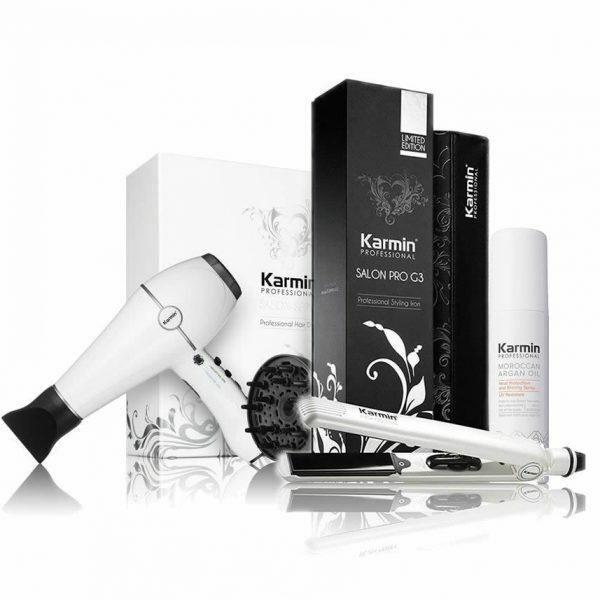 Good thing one of us had this amazing karmin salon series! It heats up so fast and straightens the hair so easily, with just 1-2 passes we got the styles we wanted. They all looked great and their presentation was the best!